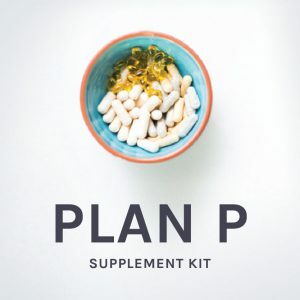 Plan H Accommodates: GI inflammation focused on cleaning old molecules of inflammation of corn, soy, gluten, and casein as well as supporting the liver, gallbladder, pancreas, stomach, small and large intestine to improve the digestive process immediately and alleviate a burden from the system. Anti-pathogenic support that addresses: many types of bacteria, biofilms, heavy metals, environmental chemicals, excess and toxic estrogen, virus, fungus, yeast, and Candida. 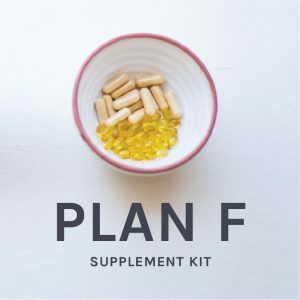 This plan includes a special focus on the stomach microbiome, hydrochloric acid, intrinsic factor processes. 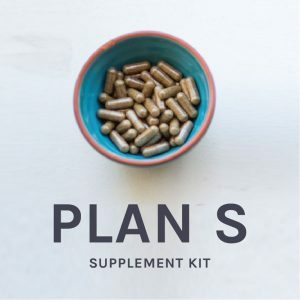 Targeted 13 + strain high potency probiotic support to re-colonize the gut-microbiome and the upper GI tract as well as to inform the immune system, allowing it to continually build a healthier foundation. Lactobacillus Acidolphilus, Bifidobacterium Bifidum, Lactobacillus Helveticus, Lactobacillus Plantarium, Lactobacillus Salivarius and Lactobacillus Bulgaricus uniquely suspended in a matrix containing Fructooligosaccharydes (FOS); Beta Carotene; Grape Seed Extract; Vit. E.